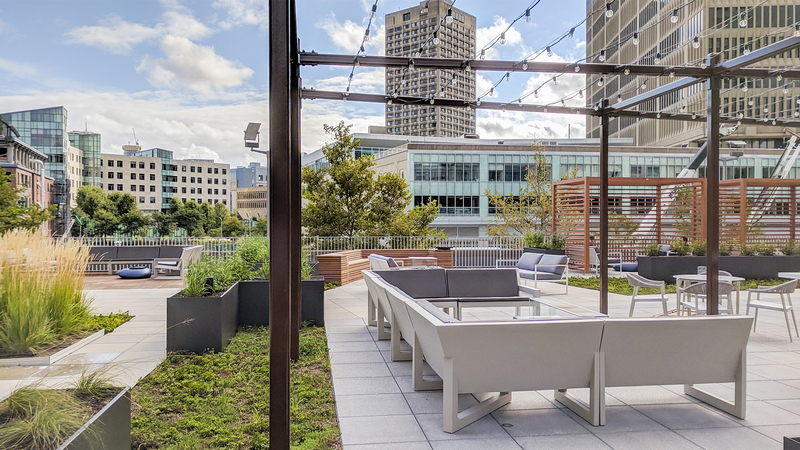 For this month’s project spotlight on amenity terraces we interviewed our team members who are currently working on or just finished amenity and roof terrace projects. 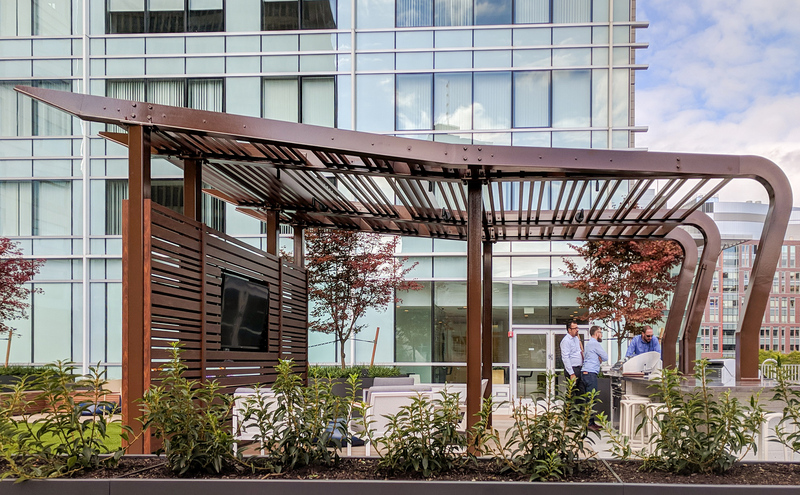 Associate Principal Carl Frushour, Senior Associate Rick Williams, and Associates Brad Brochu and Chris Golden share their experience with what makes a successful terrace design. Why do you like designing roof terraces? 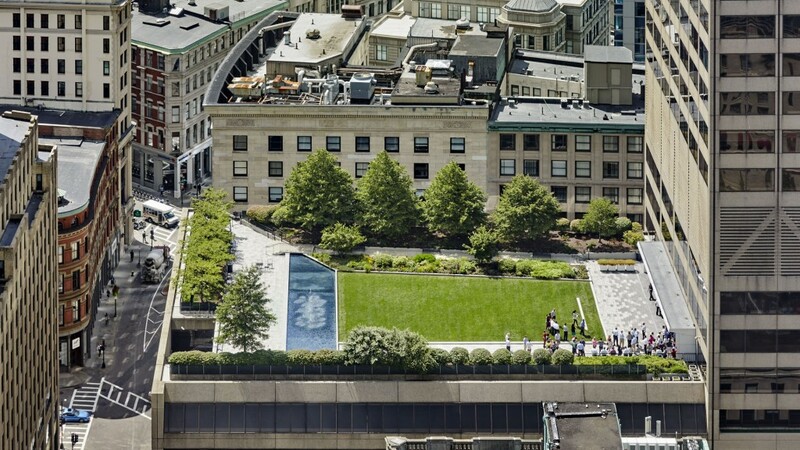 Brad: Roof terraces are like little pocket parks; they’re fun to design. Roof terraces are an efficient use of space, a premium in urban environments, and add significant value. Carl: There is something special about being outdoors, savoring views and experiencing the city from an elevated perspective. Chris: Roof terraces come together pretty quickly, and can be very satisfying to watch come together. Working on spaces so dependent on the building and it’s structure expose us to a level of coordination with other consultants that we don’t usually get access too. They’ve also given us a great avenue to start using and becoming proficient in Revit which we’ll hopefully continue to implement around the office. 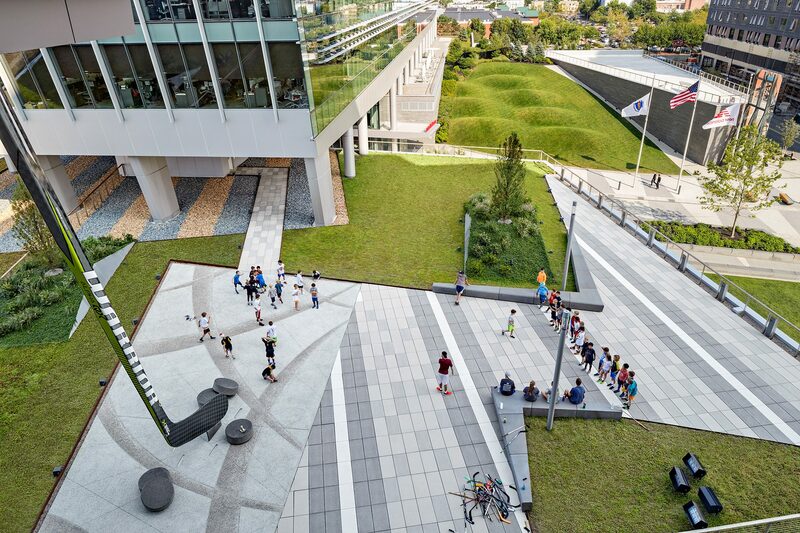 Rick: The connection between interior and exterior space is fluid on roof terraces and tend to lend themselves to greater user engagement when done properly. Being in a terrace/garden in the sky provides a unique perspective on the surrounding site that would never otherwise be experienced. What is of greatest concern when constructing a roof terrace and why? Weight? Flexible space? Materials? Wind? Carl: All are considerations during the design but weight (retrofit versus new construction) and cost (what is the Proforma and can we provide a unique experience for the client that meets this budget?) are always a priority. Chris: On an existing / retrofit project, weight is always an issue. 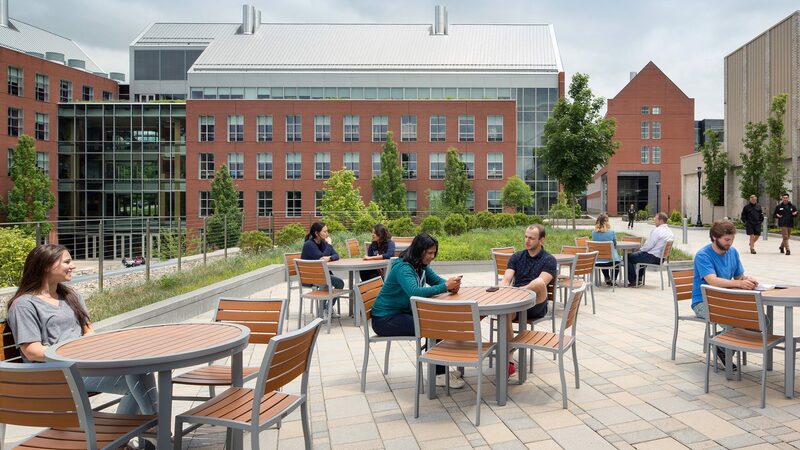 Most buildings that were built without exterior amenity space weren’t designed to hold pavers, plantings, grills, etc. Soil is always heavier than people anticipate, so it can be difficult to implement significant shrub or tree planting [with their larger soil needs] without additional reinforcement to the structure, which obviously adds a lot of additional cost. Rick: Weight is always the first and number one concern when designing roof terraces given the cost of necessary reinforcing to meet more intense structural loads. How do you make sure plantings will thrive on a roof terrace? Brad: Appropriate plant selection, specification of specialty planting soils, insulation (in some instances), an irrigation system and proper drainage. Carl: Be realistic of the harsh environment the material will be exposed to: wind, thermal, and typically contained soil volumes. Native and adaptive material are key. Chris: Wind, cold, heat (from building glare), and minimal maintenance are all challenges. Rick: Selection of drought-tolerant native plants is the first step to successful planting on roof terraces. Second would be adequate soil, and lastly would be a drip irrigation system to supplement water during extreme heat and drought conditions. Describe a challenging aspect of one of the roof terrace projects you have worked on and how you overcame that challenge. 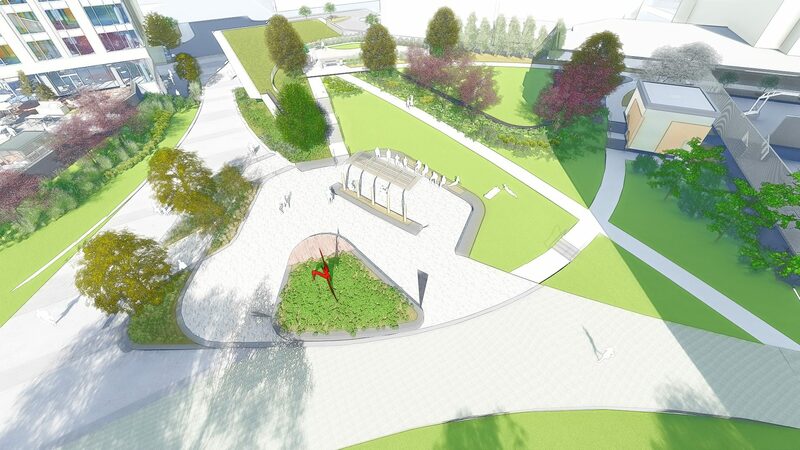 Chris: The main pedestrian path at Project G in Boston connects the existing Thoreau Path system to Lamasney Street. Maintaining accessibility without using handrails, left us with less than 12” of clearance from finish grade to the top of the garage roof below. Without BIM technology (Revit), we would have been making educated guesses as to whether or not we could clear the pinch point. 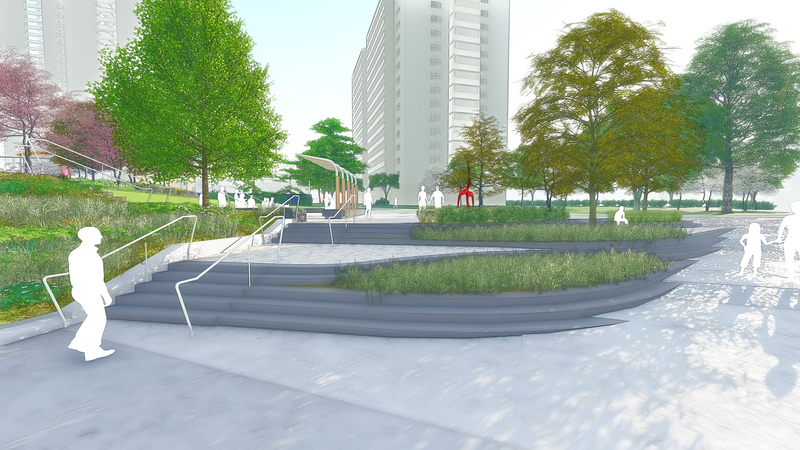 With an accurate 3D model, we could collaborate confidently with the architects and confirm that we could achieve the design. Rick: There are many challenging aspects to these types of projects. The one I recall that was most problematic was on an intensive roof garden with 30” of soil and we were seeing leaks into the garage space below following placement of soil. 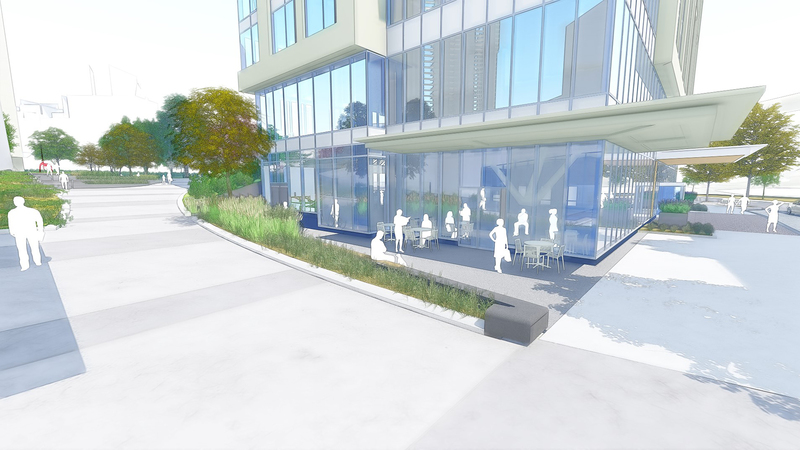 The project was complex in that it had several existing buildings abutting new buildings and a parking structure below. There was a leak somewhere along the seismic joint that separated the existing buildings from parking structure. Given the soil was already placed, it became difficult to determine where the leak was occurring and if it was isolated to just one area. Working with the Architect and Waterproofing Contractor we were able to isolate several places along the seismic joint that appeared to be the problem. We ended up having to expose the areas, flood test them, make repairs and replace the soils once convinced the leaks had been resolved. The problem was resolved only by working with the design and construction team collaboratively to diagnose, isolate, test and repair the issues at hand. What is your favorite detail on a roof terrace that you have designed? Carl: At Assembly Row, we created custom ipe cabanas flanking a runnel water feature. Moveable benches slide along the runnel which create various social settings. The space has great accent lighting and is the place to see or be seen at AVA. Rick: That would have to be the ipe media screen with outdoor kitchen at The District Burlington. 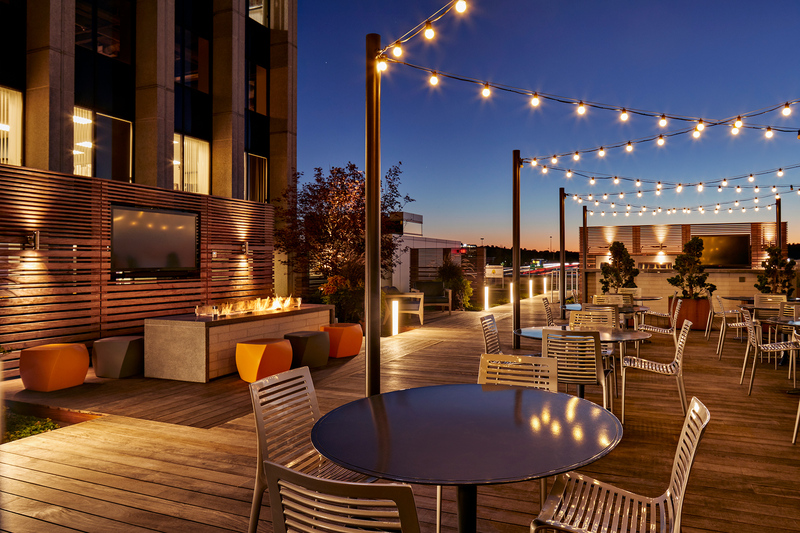 Is it better/easier to design for a roof deck on a new building vs. on a renovated project? What are some of the benefits or challenges of each? Brad: I think a new building is easier. New construction allows the structure to be tailored to the loads of the roof terrace design. In particular, there is more flexibility to accommodate heavy loads (trees, planters) and/or specialized structures (pergolas for instance). Renovations often require alteration of the existing waterproofing and roof structure. We’ve experienced hesitation [by the client] with this on one of our projects because any change to the existing waterproofing membrane could potentially void the warranty. This required the team to coordinate with the original waterproofing contractor to perform the work in order to maintain the warranty on the waterproofing system. Chris: New construction is usually easier. You have a chance to influence weight bearing of the structure, drains, connections, etc. before it’s all locked in. With an existing structure, you’re pretty much married to the existing loading capacity of the structure, and sometimes limited in the amount (if any) of penetrations you can make to the existing waterproofing. Rick: I would say it is easier to design a roof deck/terrace on a new building given the ability to adjust reinforcement within the structure during design. It is also easier to establish utility requirements and feeds to the roof while designing new structures. 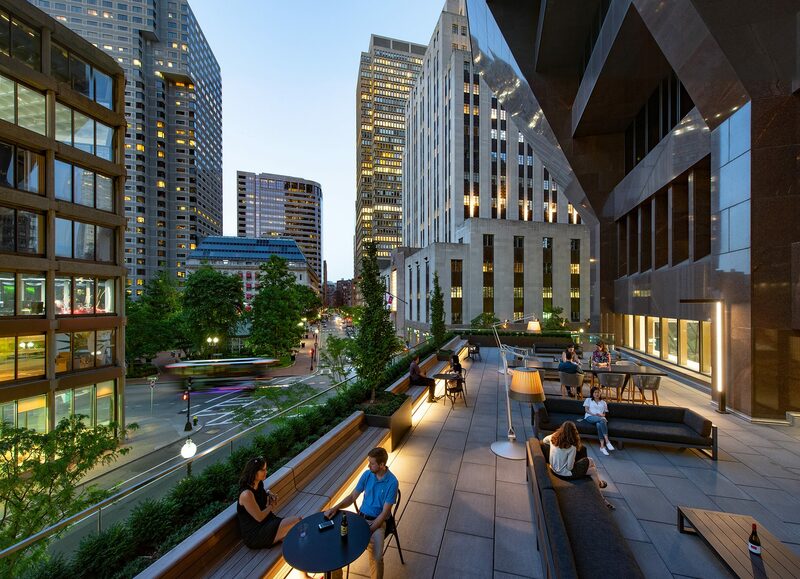 New structures allow for flexibility in the roof terrace design and program that existing structures do not always offer due to pre-existing constraints. Do roof terraces require more maintenance than other landscapes? Why or why not? Are there design elements that can mitigate this? Chris: Typically less maintenance due to a smaller amount of plant material. We’re often asked by the owner in the initial phases to incorporate building materials that are low maintenance in an effort to minimize upkeep, since these spaces can be harder to access later on. Rick: Extensive roof terraces typically require less maintenance given these tend to be shallow “plug and play” tray systems that utilize drought tolerant sedums that can handle fairly extreme conditions. 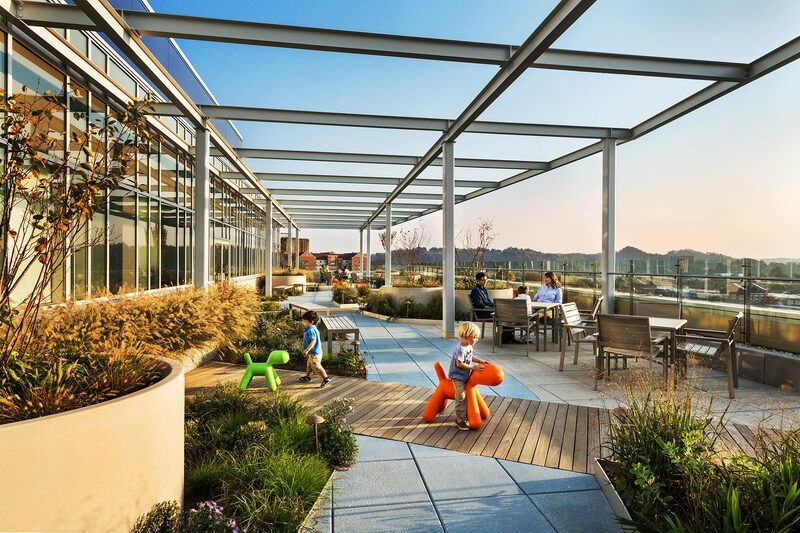 Intensive roof terraces typically require more maintenance as a result of larger soil volumes handling a wider range of plants as well as spaces being typically more programmed for use.